$249.00 $299.99	Get Your Stuff! 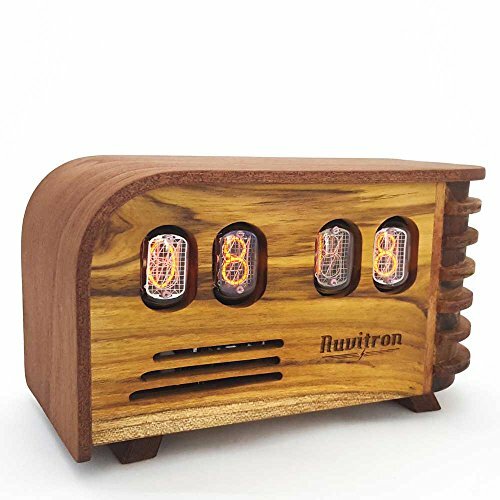 This Vintage Nixie Clock was handcrafted using new old stock tubes that are at least 30 years old, have never been used before, and come from the former Soviet Union. 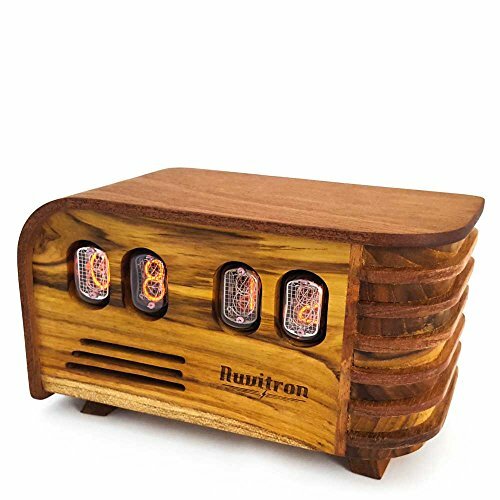 This old school cool display technology is combined with an art deco styled teak wood enclosure to bring a clock with a unique style into your home or office. 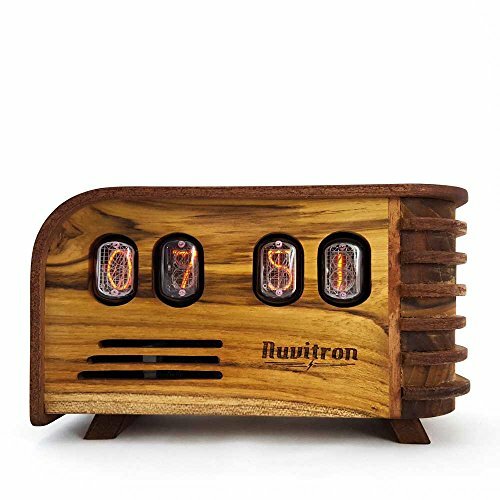 It’s capable of displaying time in 12 or 24 hour format. 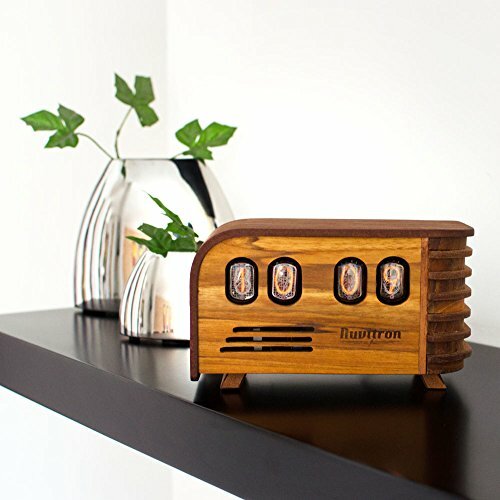 It can also display the room temperature in either Fahrenheit or Celsius. 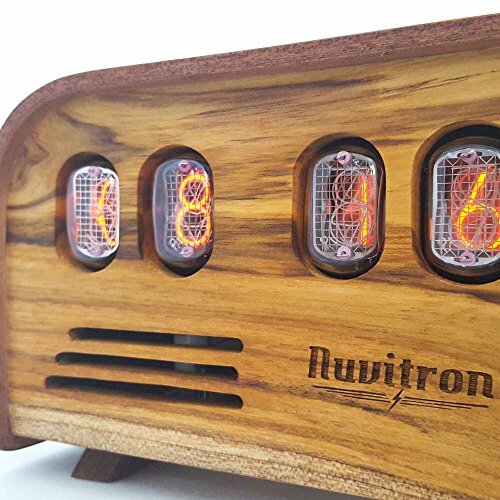 The “new old stock” Nixie tubes were rescued from abandoned basements in Eastern Europe and are rated for 10,000 hours of continuous use. 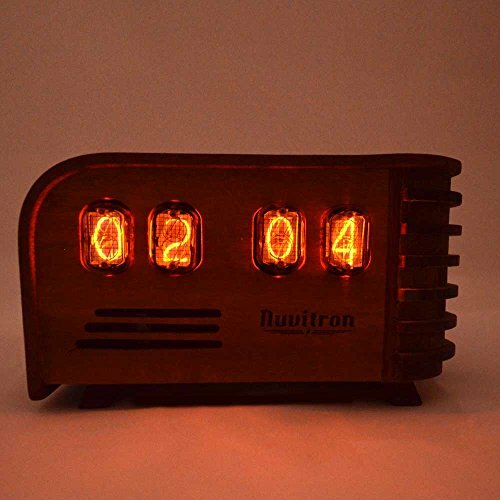 The manufacturer designed the clock to “under-drive” the tubes so they will last well past that rating. However, if a tube does burn out, it’s easily replaced with another IN-12 tube (for around $5 a tube). 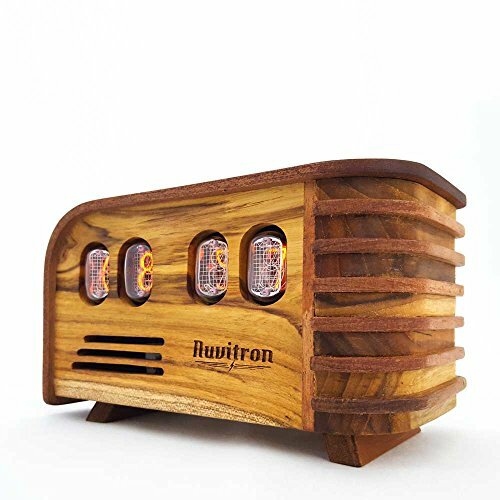 It will definitely be a conversation starter for any man cave or office. 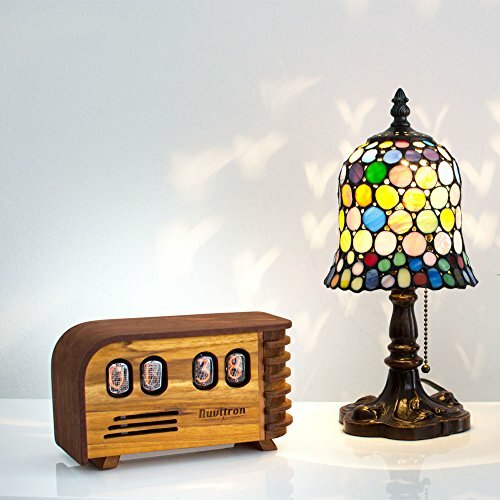 It’s also a great gift for the person who has everything. Work with both 120V and 240V power. 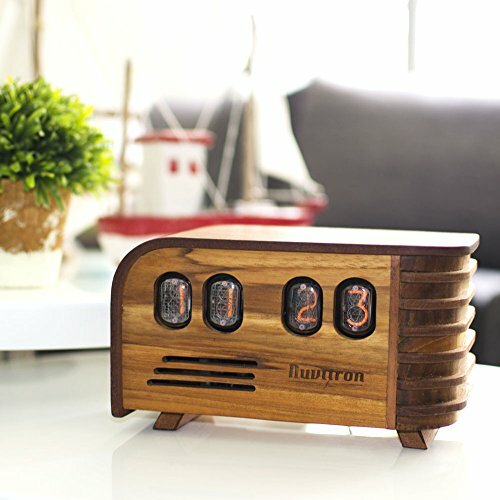 In former Soviet Union, time tells you.